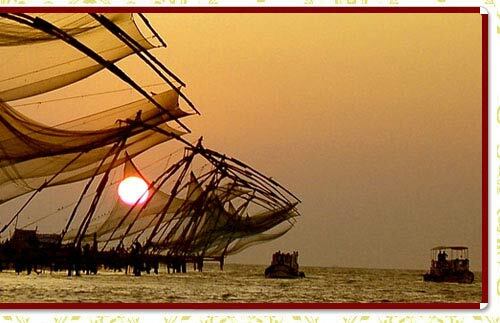 If you want to experience the authentic Kochi or Cochin closely, see it from a traveler's point of view. A city having remnants of various travelers - Portuguese, Dutch, Arabs, British and Chinese, Kochi offers kaleidoscopic glances of various countries and their activities on this land. A Gateway to Kerala, Kochi has emerged as the commercial and industrial capital of Kerala and is perhaps the second most important city on the west coast of India (after Mumbai/Bombay). Kochi also has a world class port and harbor linking various cities worldwide. Main Attractions: Fort Kochi, Mattancherry Palace, Mattancherry Synagogue. Geographic: Located on the southwest coast of Kerala is the beautiful sub-tropical town of Cochin, a city resplendent with natural beauty, cultural richness & replete with historic traditions. Famous for: Jewish Synagogues, Shipping port. By Air : Cochin is well connected to all major cities within the country & major foreign cities through the Cochin international airport, located 25 kms north of the city. By Road : Thiruvanathapuram, 221 kms, Alappuzha is 62 kms, Kollam 150 kms. By Railways : Cochin is well connected to the rest of the country through its stations, Ernakulam junction & Ernakulam town. Kochi formerly known as Cochin is a beautiful seaport town & has a history going back a 1000 years to the Kulasekhara Empire, its importance sealed by its being a hub of the spice trade. 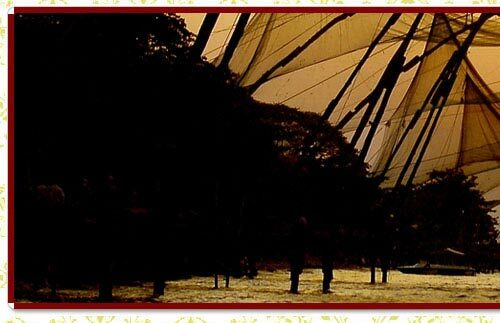 A part of the Portuguese, the Dutch and the British empires, Cochin later became a princely state thus as part of the Cochin city guide you will come across various phases of Cochin's development into its present modern state. The area near Fort Kochi was a simple village in pre-colonial Kerala which was granted to the Portuguese in 1503 by the Rajah of Kochi & here they built Fort Emmanuel along with a wooden church, today known as the St Francis Church, the former burial place of Vasco Da Gama. The Dutch captured & held Fort Kochi in their possession until 1795, when they were defeated by the British. A striking feature of this area is the mix of old houses built by the Portuguese, Dutch and British. Also in this area is the beautiful Santa Cruz Basilica, built in the 16th century. The other obvious eye-catching spectacle of the area are the Chinese fishing nets on the waterfront, believed to have been introduced almost 700 years back through Chinese traders. The building has a unique architectural style which sets it apart from almost all other comparable buildings. Built originally by the Portuguese for the Raja of Kochi, in 1555 AD, it underwent extensive renovations under the Dutch in 1663, and has since been popularly called Dutch Palace. It currently houses a portrait gallery of the Cochin Rajas and beautiful mythological murals. The Mattancherry or more popularly known as Paradesi Synagogue is one of the oldest synagogues in the world built in 1568 by the Cochin Jewish community who were primarily exiles from the Middle East and Europe. The complex has four buildings built on the land gifted by the Raja of Kochi & is an active seminary.